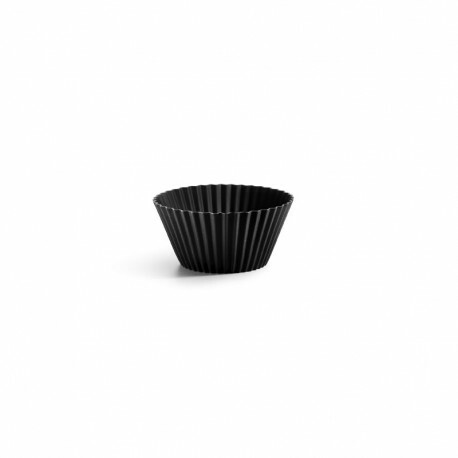 Set of 6 muffin cups, black. 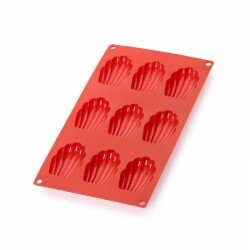 Whether you prefer traditional style madeleines, muffins or cupcakes, there is no question that these silicone moulds from Lékué will win you over. 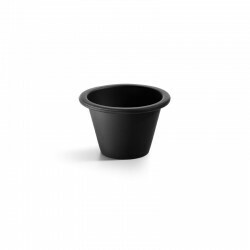 Made of 100% platinum silicone, they are resistant, re-usable and non-stick. 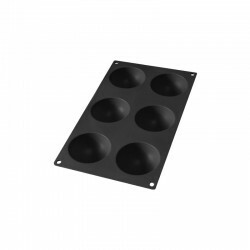 They are unrivalled in your kitchen! Re-usable silicone moulds for baking muffins. Is there anything more pleasurable than the smell of fresh baked home-made desserts in a home? 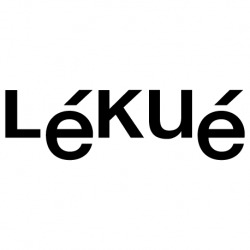 Yo no longer have any excuse for not rolling up your sleeves, Lékué will make it easy. 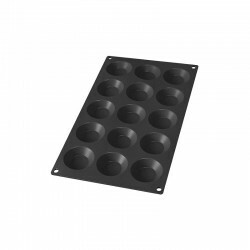 Prepare the batter, put it in the moulds and bake. Take them out of the oven and all you have to do is decorate them. Put your imagination to work! 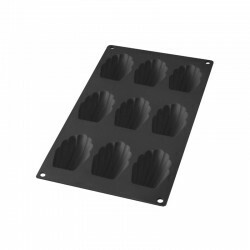 You can present your muffins in or out of the mould. 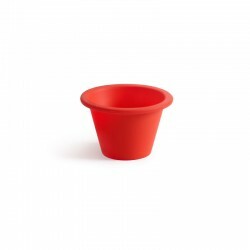 Its modern design and attractive colours will look fabulous on your table. 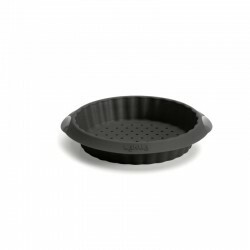 You no longer need to be constantly buying paper or aluminium liners for your madeleines or muffins. 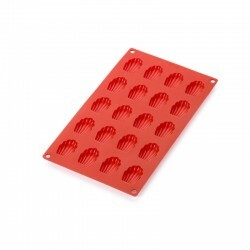 From now on, you will just use the Lékué silicone moulds. 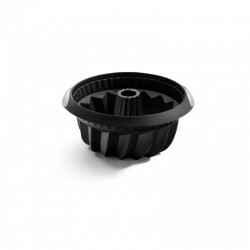 Environmentally-friendly moulds, as they are reusable and made of silicone-platinum, a high-quality durable material. 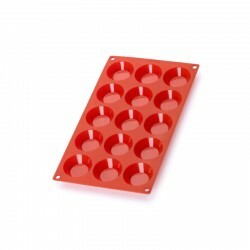 They can be used in the oven, microwave or freezer and once the party is over, you just put the moulds in the dishwasher. Bon Appétit! 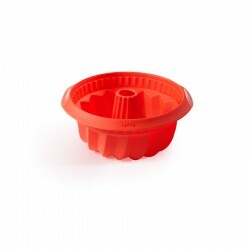 Lékué history began in the 1970s, when it produced silicone for other brands products, being the 2005 the year of change. With the entrance of new capital and a new management team, the company strongly marked identity, revolutionizing the world of cooking to create practical, functional products but also recognizable and fun, distancing itself completely from the competition. Feeling good is a consequence of a healthy and balanced diet.